Alwaysmining cruised in the Private Terms Stakes at Laurel Park with Daniel Centeno in the irons. Photo by Dottie Miller. A gelding’s winning streak continues, bittersweet news about a late stallion is shared, a new rule surrounding claiming races in Pennsylvania was announced, and the drama with Pimlico continues. The gelding Alwaysmining sparked excitement through social media over the weekend, when he romped to glory in the $100,000 Private Terms Stakes at Laurel Park. It was the first time the Maryland-bred son of Stay Thirsty had performed in a two-turn race, and he aced the 1 1/16-mile test, bursting away to win by 6 ¾ lengths. With jockey Daniel Centeno in the irons, Alwaysmining completed the race in a final time of 1:42.65 over the fast-main track. Alwaysmining extended his win streak to five by virtue of his score in the Private Terms. It was also the fourth stakes win in a row for this Kelly Rubley trainee, as he made his way to the winner’s circle in the Maryland Juvenile Futurity, Heft Stakes, and Miracle Wood Stakes prior to his most recent victory over the weekend. Alwaysmining now has a record of six wins from 11 starts, with career earnings of $311,192. While official plans have not yet been made for the gelding’s next start, a run in the Federico Tesio Stakes on April 25 is a possibility. As a Triple Crown-nominated horse, a win in the Federico Tesio would grant Alwaysmining an automatic berth into the 144th Preakness Stakes, which is set to be run on May 18. El Padrino’s brief yet impressive record at stud was recognized on social media this week. The late stallion has produced 10 individual winners from 32 starters thus far in 2019. That makes him the leading third-crop sire for the Mid-Atlantic region, and he stands as the 6th leading Mid-Atlantic sire overall for 2019. Offspring from the late stallion have earned more than $450,000 this year. Standing at Northview Stallion Station near Peach Bottom, PA before his untimely death, El Padrino entered stud in 2014 where he stood for a fee of $5,000 until he had to be humanely euthanized on November 22, 2017 due to complications from colic. While the stallion may be gone now, his legacy is certainly living on through his progeny. News of a new rule surrounding claiming races in Pennsylvania was shared on social media over the past week, when it was announced that the time in which a horse can compete without an increase in claiming price was changed. Prior to the recent change, horses were not permitted to run for a tag lower than 25% of the price that it was previously claimed for until 30 days passed from its latest claim. The Pennsylvania Horse Racing Commission has now shortened that time frame to a period of 20 days, making it possible for horses to compete for any claiming price after that timeframe. The new rule will not influence starter allowance races, nor will it have any effect on starter handicap races. The ongoing drama with Pimlico’s future flooded the news feeds of social media accounts over the past week. For quite some time, there has been talk of The Stronach Group closing their Pimlico track and moving the historic Preakness Stakes to Laurel Park. While the idea came with mixed emotions from fans, Baltimore City’s lawmakers have been adamant in their desire to protect the track and keep the famous race at Pimlico. Now the city’s lawmakers have the support of Baltimore County delegates, who are joining in the efforts to save the track. 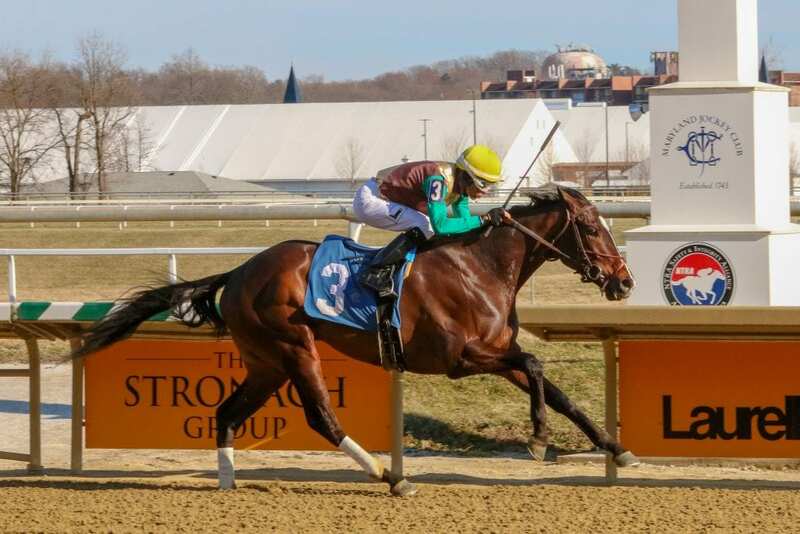 Delegates of both Baltimore City and Baltimore County believe that taking the Preakness Stakes out of Baltimore would be detrimental to the area, The Stronach Group believes that the best move for the future of racing in the state is to consolidate operations at Laurel Park. The company believes it can build out Laurel and reopen Bowie as a training facility for about one-third of the cost of renovating Pimlico. Midweek, news broke of Baltimore Mayor Catherine Pugh filing a lawsuit against The Stronach Group. Along with the help of three Park Heights locals, Pugh filed the lawsuit in an attempt to keep the Preakness Stakes at the aged yet legendary track of Pimlico. Pugh is also asking that ownership of the track will be taken away from The Stronach Group and given to the City of Baltimore.